The daily regimen in Āyurveda is described in the very earliest of its teachings, including the Suśruta samhitā and Caraka saṃhitā, which originally date back to before 1000 BCE. 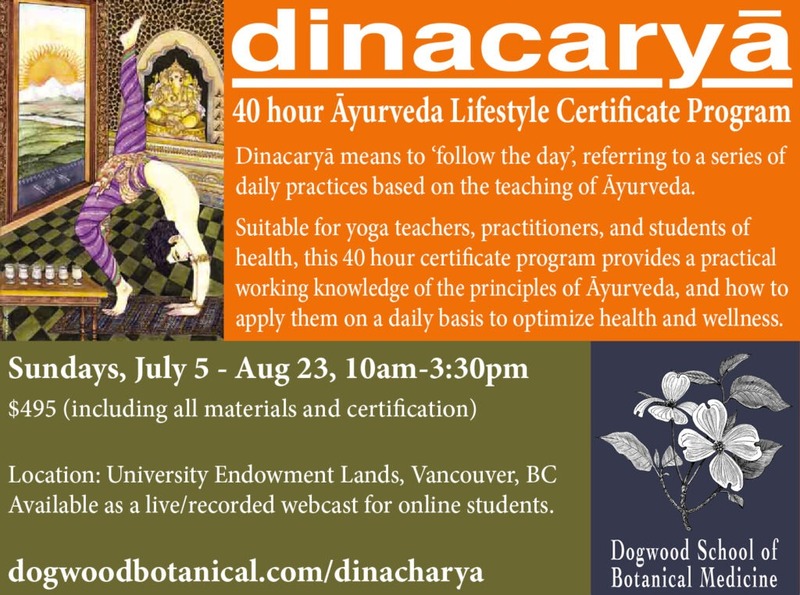 Dinacaryā is extolled through the history of Āyurveda, as the single most important practice in the prevention of disease and maintenance of health. Modeled on natural rhythms and cycles that connect to us to the earth, the practice of dinacaryā allows us to consciously remove obstructive and unskilful elements in our lives, to create a more peaceful, balanced and harmonious approach to living. In a nutshell, dinacaryā serves to make you, your clients, or your patients, happier, healthier people. Taught by veteran practitioner and teacher, Todd Caldecott, this 40 hour program covers all these components, as well as a firm grounding in the theory and practice of Āyurveda. More than just information, however, this program will give you the skills to apply the principles and practices of Āyurveda in your daily life, providing you with a flexible methodology and skill set that you can successfully apply in different situations. This program is available as a local in-class lecture, and will be available simultaneously as a live webcast for distance learning students. Both in-class and online students will be able to ask questions during the lectures at regular intervals.